Nations are built through planned and sustained efforts. Though it is impossible for one man to do the whole work from the scratch to the finish lines, fundamentals that have transformed many nations from abject poverty to dizzying prosperity, most times have been rooted in the dreams, visions and drives of single, dominant individuals. Such men design the structure imbedded in their dreams and farm out the ideas with which create the construction sites of nation-building. In other words, the emergence of great nations are never the handiwork of journeymen or accidental leaders, who are just passing by. It comes through visionary leadership. It is impossible to talk of today’s prosperous Singapore without Lee Kuan Yew. History records him as the architect through which a “chaotic British colonial backwater” was transformed into one of the world’s most prosperous and orderly states. The same is also true of former Prime Minister of Malaysia, Mahathir bin Mohamad, who through his ideal, Vision 2020, aimed at making the country a self-sufficient industrialised nation by 2020, transformed his country into not only one of the most prosperous nations of the Asian region, but of the world, today. All it takes to bring a dream to reality, is a clear vision of such a dream. With that it is not difficult to create a good design, erect a solid foundation, do the iron casts, lay the blocks, tighten the fittings and eventually do the paintworks horticulture that enhances the aesthetics. The emerging picture in Sokoto State, today, will certainly fall into this pattern, if and by the time the ideas being espoused and pursued by its current helmsman comes to fruition. The panorama of activities appears to foretell underscore a profound phenomenon that leaves very little to guesswork as to why governments succeed where others fail. Beneath the fanfare and glitterati that engulfed the entire nation by this time two years ago, when many states took delivery of their new chief executives, there seemed an apparent blast of the whistle signalling the commencement of the game, which many of the governors were either not aware of or too ill-prepared to engage in. Today, the same whistle has been blasted, signalling the end of the first half, with many of them being trailed by derisive catcalls and jeers from the spectators as they go into the dressing room, because of their dismal performances. Interestingly many of them who have not only let in too many goals, but even scored own-goals into their nets, have been complaining of virtually everything from bad pitches to bad officiating as if their counterparts have a separate arena to play their own games. But in the Seat of the Caliphate, this appears hardly the case. As one of the states, where a brand-new governor was unveiled on May, 29, 2015, exactly two years on Monday, the story appears totally different. In fact, instead of the boos and jeers that could be heard in distant and not too distant places, the state is engulfed in cheering and ululations. Many believe that Governor Aminu Tambuwal, like a good coach, who has actually done a lot of preparations with his players, who understand the strategy both on the drawing board and during practice and has naturally unleashed a killer squad of deadly strikers who net in goals, a good midfield that supplies the passes and an airtight defence that prevents goals. Indeed, from the outset, the governor, never left anybody in doubt about his vision, mission, and vision. In words and deeds, he has ensured that education is going to be the vortex around which the engine of his government is going to rotate and has gone into achieving it with a single-minded determination. From first flagging off the initiative with the declaration of a state of emergency on education, then followed up with the establishment of a technical committee on state of emergency, which was charged with the responsibility of developing a framework its proper implementation, he underscored that he meant business, when he dedicated a whopping N34.5 billion, the highest budgetary allocation of 29 per cent of the 2016 budget to education, which he again replicated in the 2017 budget, where the sector again got N38.4 billion allocation or 27.3 per cent of the total budget outlay. While coughing out N2.2 billion to pay for scholarship to Sokoto indigenes from May 2015 to date, the governor presented an executive bill tagged Right to Education Bill, which was eventually passed. The bill, the first in the history of the country, provides for free and compulsory education, to be paid for by public coffers, for all children between ages six and 18. It also criminalises refusal to send children to school, and made parents liable to criminal prosecution if they stopped their children from attending school. Perhaps, one of the most symbolic gestures of the governor’s seriousness in pursuing his cardinal programme of education in the state was the building of Government Secondary School, Balle, Gudu LGA, of the state, which hitherto, held the unenviable trophy of being the only local government area without a senior secondary school in the whole of Nigeria. 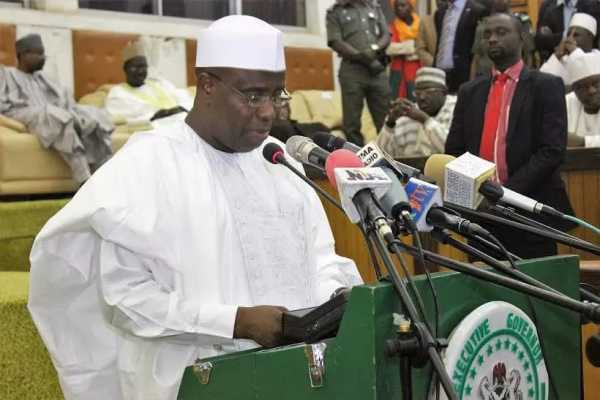 In 2016, Tambuwal released the sum of N1.2 billion for construction work for the new school to begin, which apart from providing opportunity for the LGA’s 200,000 inhabitants, was meant to also operate a dual curriculum of English and French, to serve citizens of Nigeria and neighbouring Niger Republic. Another feature of the governor’s seriousness is that between September 2015 to date, 54 new secondary schools have been built in the state, with a makeup of 35 new junior secondary schools and 19 new senior secondary schools, while the government plans to build a total of 160 new primary and secondary schools across the state by the end of 2017. The governor not only created the Agency for Girl Child Education which will supervise and implement targeted policies aimed at assisting female students to achieve their potentials in life, but disbursed N158 million to 10,564 families to enable them allow their female children to attend classes. No doubt the strategy seems to be working well. For in 2015/2016 academic session, 1,200,000 new pupils were admitted into schools for the first time, giving the government an impetus to set a similar target for the current 2016/2017 academic session. Under Tambuwal’s supervision, 250 female teachers have been sponsored for specialised training at the State College for Education, with the intention of posting them back to their communities to serve as role models for girls. While 1500 primary schools, 180 junior secondary schools and 200 senior secondary schools undergoing renovation with more than 80 per cent of them completed, the government also approved in principle, the building of 40 new model secondary schools in the state, which would serve as pioneer centres of excellence across the three senatorial zones in the 23 LGAs. The work will go hand in hand with renovation of existing schools currently going on. To ensure that there are no unnecessary hitches, the Department of Higher Education was upgraded into a full-fledged ministry, followed by the introduction of the approved Consolidated Salary Structure for lecturers in all tertiary institutions in Sokoto State. The state also engaged in the training of 3,143 teachers in new teaching techniques, training of 165 teachers on Quality Assurance assessment and Jolly Phonics, recruitment of 1000 new teachers for secondary schools, including science and technology teachers and sponsoring of about 300 lecturers to various trainings at home and abroad. The half-time scorecard, also includes the building of 230 blocks of three classrooms and two blocks of six classrooms in various primary and junior secondary schools across the state and the renovation of more than 300 blocks of classrooms state-wide. Within the period, the state doled out N94million for procurement and distribution of JAMB forms to 13,000 Sokoto indigenes, while N603million was used to construct 60 office complex and modern library at Sokoto State University in addition to the establishment of a College of Basic and Remedial Studies in the state. Regardless of the huge focus on education, the governor, is said to have a similarly achieved much in other sectors. For instance, in agriculture, 140 fish farmers, made up of mostly women and pensioners, were said to have been supported with grants and starter-packs of tanks, fish feeds and fish seeds. N19,000,000 expended on their training. Ever innovative, the governor also approved and developed nine grazing reserves not only to enhance meat and milk production, but end farmers/herdsmen clashes, while conducting baseline survey to capture irrigable land, farmers date, farmers groups and clusters for easy planning and investment promotion. Within the period, 300 Sokoto indigenes were trained by Henan University of Technology via a partnership with the Umaru Ali Shinkafi (state) Polytechnic, Sokoto on grain/food security, while 981,000kg of rice seeds were procured and distributed to farmers free of charge at the cost of N294,490,000. In like manner, 6,000 bags of 100kg of wheat seed procured and distributed to farmers free of charge at the cost of N161,700,000, in addition to the promotion of the private sector driven outgrower programme with Dangote Rice at Goronyo and Middle Rima Valley. The state, under Tambuwal, also saw to the engagement of 1000 farmers for the 2017 dry season farming with 500 hectres committed to the project as a pilot scheme, procurement of 15,000 units of water pumping machine, which was sold to farmers at subsidized rate of N10,000 per unit while 15,000 tube wells were drilled across 23 LGAs for use by farmers. The government also in 2016, procured 600 trucks of fertilizer at the cost of N2.4 billion and sold to farmers at subsidized rate for the 2016 wet season farming, while 15,000 mt of fertilizer were procured under the Federal Government’s fertilizer programme in addition to the resuscitation of Kware Irrigation Scheme abandoned for nearly 90 years. While 4,000 farmers are slated to benefit from the reconstruction of Wurno Dam to be executed in collaboration with the World Bank, to which the government has released N1.2 billion as counterpart fund, 15,000 litres of pesticide were procured for the control of both field and domestic pests, just as the Sokoto State Agricultural Data Base was established within the period. Tambuwal’s agricultural programmes also saw to the capturing of 65,000 farmers with 125,000 hectres of land in the first phase of the state agric data initiative, while 482,386 others benefitted from the state’s collaboration with IFAD/CBARDP in addition to the creation of 27,166 jobs through the IFAD partnership, in addition to the provision of 875km of access roads and 3,000 water points for the use of humans and livestock across the state. The government also said that from 2016 to 2017, land use for upland and lowland areas increased from 3200 hectres to 6000 hectres, while 12,065 farmers, facilitators and rural women have been trained in collaboration with World Bank’s Fadama III scheme. It also talked about approving 15,885 business plans for both wet and dry season farming for 2017, with an area covering 13,801 hecres across 180 production clusters, release of N598million as counterpart funding to sustain the Fadama III programme for the year 2016 and 2017 and N35.96million, released for feasibility study/design and purchase of survey equipment for the new 500 hectres solar-powered irrigation scheme at Muza. There was also N1.69billion expended in the purchase of 1000units of hand tiller machines for farmers in the state and the signing of a letter of intent by the government for an agricultural cooperation with the Henan Province of China to construct an agricultural science and technology demonstration park. The government also made incursions in the area of mining, commerce, industries and investment, with a N2billion it set aside with the bank of Industry (BoI) as intervention fund for the development of small and medium scale enterprises (SMEs) in the state, N3.3billion investment it attracted in 2016 through the Niger Delta Power Holding Company for the expansion of critical infrastructure in the power sector. There was also the N250million new organic fertilizer plant constructed in the state in partnership with IML Nigeria Ltd, estimated to produce 15,000mt of organic fertilizer annually and provide employment direct and indirect job opportunities to 20,000 people, which is expected to come on stream in December 2017. The government also resuscitated the Sokoto Investment Company Limited with the appointment of a new management team, while a new textile factory is currently under construction with work at 80 per cent completion at Kalambaina through a PPP arrangement with Hijrah Ltd. The Establishment of Leather Industrial Cluster in Sokoto with the support of the United Nations Industrial Development Organisation (UNIDO), is also part of the achievements of the government in addition to the resuscitation of the Technology Incubation Centre, with access roads, 300kva transformer, borehole with overhead tank and utility vehicle provided to the centre, so far. The Sokoto Furniture Company, is also being revived through a partnership agreement with Turkish investors with the government earlier paying N1.5 billion to AMCON to clear the company’s debt and retake possession. The state also established a Special Purpose Vehicles (SPVs) through Sokoto Mining Company to facilitate the government’s participation in the mining sector, took over the Federal Ministry of Mines and Solid Minerals’ Mineral Buying Centre in the state to ensure quality control, value addition, beneficiation and generation of IGR, while entering into an off-taker Agreement with Dangote Fertiliser to facilitate exploration and exploitation of phosphate in the state. While going into collaboration with the Raw Materials Research and Development Council of Nigeria (RMRDC), the government is also promoting the establishment of Kware Cement Factory at Kware under PPP arrangement with Brewtech of Germany and Saboo of India, in addition to the recruitment of 60 geoscientists and supporting staff for the Ministry of Solid Minerals Development to build human capacity.